One of the best days of the week! 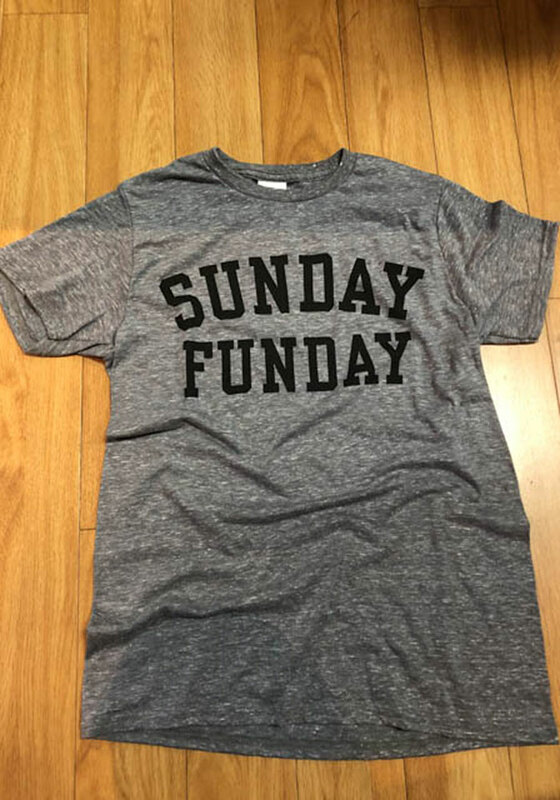 No matter what team we are cheering for, we all love a little Sunday Funday. Show off your team spirit with this snow heather grey tee! 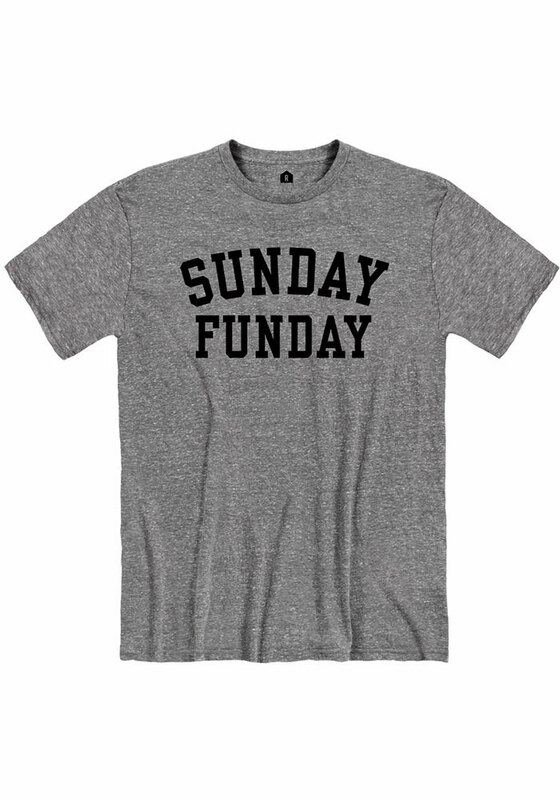 This unisex t-shirt features a screen printed design of "Sunday Funady" on the front center chest. The tee is INCREDIBLY soft and super comfortable. I love the relaxed but but somewhat form fitting fit of it. I have gotten so many compliments while wearing it. I bought one for myself and another one to give as a gift - they loved it. Makes a great, unique gift!